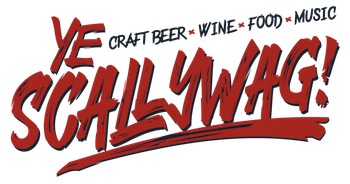 Saturday, October 22 marks the debut of Ye Scallywag!, a day-long music, craft beer, wine and food festival, to take place at Waterfront Park in San Diego, CA. Produced by premier music festival production company Synergy Global Entertainment (SGE) and Orange County, California's most successful and respected craft beer festival producer Brew Ha Ha Productions, the festival will feature over 100 craft beers and artisan wines, along with a full day of music. Brew Ha Ha Productions' Cameron Collins explains, "Ye Scallywag! is just around the corner and we couldn't be more excited about it. We have some incredible breweries coming out, many who have brought home awards from this year's Great American Beer Festival (GABF), one of the most prestigious beer events in the US. We'll have a lot of world class beers at the event including RIIP Brewing out of Huntington Beach, CA who just won silver in the IPA Category, essentially making them the brewers of the #2 IPA in the world, along with Figueroa Mountain Brewing, who came home with a handful of medals. We'll also have class act wineries participating including Flora Springs, who really embody the essence of the event with their craft focus on wine. Not to mention the great bands who are playing, the amazing weather we're expecting, and our killer food pairing stage." Sycuan Casino Executive Chef Paul Schwab will be hosting food pairing sessions throughout the course of the day for attendees to enjoy. With a theme of land, sea, and air, Chef Paul will be making stout braised short rib complete with Shropshire Blue cheese corn bread, Hudson cherries, and petite arugula; peppered applewood bacon wrapped shrimp accompanied with cucumber seaweed salad and sweet chili cream cheese; and peach BBQ duck cornmeal with fried peaches, tangerine lace, and drunken goat cheese. 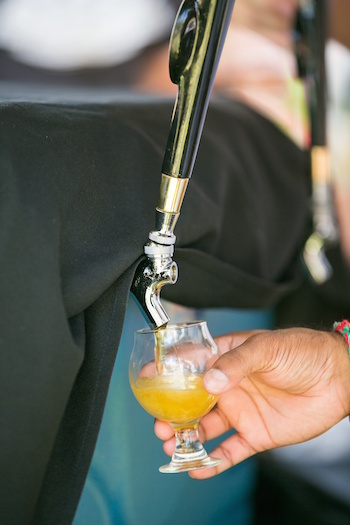 Each course will be paired with fine wine and beer selections from the festival's featured breweries and wineries. Sessions will take place in between music sets and will be limited to 50 participants per session. While additional patrons can watch and listen, only 50 people will be able to participate in the actual tastings, so early arrival is suggested. During early entry tastings (from 11:00 AM-3:00 PM), and general admission tastings (from 12:00 PM-3:00 PM), Ye Scallywag! 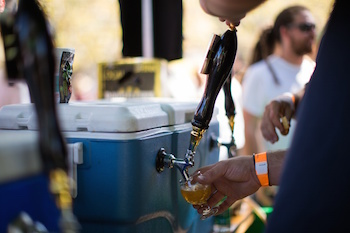 attendees will enjoy craft beer and wine samples from top breweries and wineries. Local food trucks and pop-up restaurants will also be on site selling a variety of delicious and unique food options throughout the day and evening. After 3:00 PM, liquor will be available for purchase at concessions, including Deep Eddy Vodka and Tequiponch. Additionally, several Ye Scallywag! brewers and wineries will offer drinks for purchase, with music continuing until 7:00 PM. Live music will be on the BMW of Escondido Main Stage, with performances by NOFX, Bad Religion, Goldfinger, Against Me!, Reel Big Fish, and Wakrat. Music kicks off around 12:00 PM. Clown Shoes Beer from Ipswich, MA will be pouring their Chocolate Sombrero American Imperial Stout brewed with roasted dark malts, extra chocolate malts, ancho chile, cinnamon and organic vanilla extract. They will also be pouring their insanely popular Photosphere Phil IPA and the man himself… Phil (Filthy) Thomas, who the beer was brewed in tribute to, will be onsite talking with guests about the beer! AleSmith: Speedway Stout, one of San Diego's favorite Imperial Stouts! This beer scores 100 out of 100 on RateBeer.com! Speedway Stout's ominous, pitch-black appearance has become a hallmark of this modern-day classic. Ska Brewing: Modus Mandarina IPA, this beer is brewed with orange peel and dry hopped with Mandarina Bavaria hops. Burning Beard: Hot Notta IPA, a 7% West Coast IPA with huge notes of citrus and pine that accompany a balanced bitterness and a fresh, clean finish! 101 Cider House, 2 Towns Cider House, Acoustic Ales Brewing, AleSmith, Amplified Ale Works, Anchor Brewing, Artifex Brewing Co., Avery Brewing Co., Belching Beaver, Bitter Brothers Brewing Company, Black Market Brewing Co., Bootlegger's Brewery, Bottle Logic Brewing, Burning Beard, Chapman Crafted Beer, Clown Shoes Beer, Coronado Brewing Co., Culture Brewing, El Segundo Brewing, Fall Brewing, Figueroa Mountain Brewery, Golden Road Brewing, Good Beer Co, Groundswell Brewing, H2OPS Sparkling Hop Water (NA), Hangar 24 Brewing, Hoparazzi Brewing Co., Iron Fist, Ironfire Brewing, Karl Strauss, La Jolla Brew House, Lagunitas Brewing Co., Left Coast Brewing, Mike Hess Brewing, Mikkeller SD, Mission Brewery, Modern Times, Mother Earth Brew Co., Pizza Port Brewing, Rip Current Brewing, Ritual Brewing, Rough Draft Brewing, Saint Archer Brewing, Shmaltz Brewing, Sierra Nevada Brewing Co., Ska Brewing Co., Thorn Street Brewing, Track 7 Brewing, and Washington Gold Cider. Chateau Souverain, Chronic Cellars, Donati, Dry Creek, Edna Valley, Granite Lion Cellars, J Lohr, Liberated, Louis Martini, Maggio, Mark West, Old Soul, Rabble, Rebel Coast, Shannon Ridge, Storypoint, William Hill, and Wilson Creek. Participating Southern California food vendors will be announced soon. General Admission and VIP tickets are available for purchase for the following prices. Please note that the event is for those 21 and up. 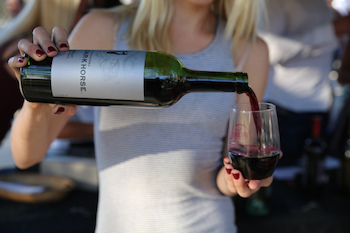 All tickets include beer and wine tasting, and access to the BMW of Escondido Main Stage for live music. Ye Scallywag! will have a convenient drop off area for ride sharing and taxis on site. Additionally, the Green Line to San Diego's Santa Fe Depot train station, is just three blocks from Waterfront Park. Ye Scallywag! sponsors include: BMW of Escondido, Tequiponch, San Diego Hydroponics, Del Mar Race Track, Solar City, and more. Media partners include: San Diego's leading alternative radio station 91X, and California's top rock radio station KFM-BFM. Synergy Global Entertainment, Inc. (SGE) is one of the world's premier music festival production companies. With hundreds of live events worldwide each year, SGE works with agencies, brands and musical talent to produce or co-produce concerts across various genres and interests. SGE produces the Rockstar Energy UPROAR Festival and Funny Or Die's ODDBALL Comedy And Curiosity Festival. In addition, SGE co-produced the Rockstar Energy Drink Mayhem Festival and conceived and developed KNOTFEST with Slipknot and 5B Artist Management. In the past, SGE co-produced the worldwide Rockstar Taste of Chaos, as well as many other national festivals and tours. SGE senior staff have a combined 60 years of experience in artist management, large scale festival production and brand integration and have worked with artists as diverse as Guns N' Roses and The Cure. SGE excels at integrating brands' needs with large scale musical entertainment. 91X (XTRA-FM 91.1) and 100.7 KFM-BFM (KFMB-FM) are members of SDLocal, a joint operating arrangement between Local Media San Diego, LLC (a San Diego-based broadcasting company backed by private equity firm, Thoma Bravo, LLC) and Midwest Television, Inc. LMSD also operates Z90.3 (XHTZ-FM) and Magic 92.5 (XHRM-FM), Midwest Television, Inc. also owns AM 760 (KFMB-AM) and KFMB TV-8.